What is zoosk? And How it is different from other dating apps? You are here: Home / Dating Sites / What is Zoosk? What makes Zoosk dating app different? How does Zoosk work? Getting what you expect from Zoosk. Zoosk is a US-based online dating service which was started in 2007. It is a leading global dating site with millions of registered users with more than 30M visitors per month landing on Zoosk. Already have an account? Zoosk login now. With a high volume of users, there high is the potential of finding a suitable match for the user, though it’s not always about quantity. Relatively Zoosk is a newcomer to the online dating platform, there are and were many other popular online dating sites dominating the market. What made Zoosk one of the best-known platforms for the people who want to talk, meet and date people best matching to them? The simple answer would be its creative ways of finding a perfect match for you. Zoosk is a unique dating platform which integrates online dating with social networking, which means your account not only serves you with your perfect match partner it also creates a sublime platform for sharing stuff with your friend and family circle. With a mission of attracting single young crowds, Zoosk app and website provide a fun environment for unique dating experience with many impressive ways and affordable, customizable tools. You can perform every activity that someone tends to do on a date, from sending a message or flirting with other users to sending them some virtual gift, you can do it on a single platform. The more you use Zoosk, the more chance for Zoosk to offer you a perfect match and to figure out who you are into and also who are into you. It is best online dating site for single young crowds who are looking for casual dates or relationship in an online environment. Zoosk offers creative ways of finding your best match. Like other popular online dating sites, Zoosk claims that the matching formula of Zoosk is unique and more relevant than other similar online dating sites such as eHarmony or Match.com. That unique formula is trademark of Zoosk as “Behavioral Matchmaking”, this is the technology that operates similarly to the algorithm used by Google, Facebook or Amazon to provide user with most relevant stuff by monitoring what you click on, what you are searching for and deliver you the stuff that is related with your online behavior. So, the lengthy questionnaires and profile description you add on your Zoosk account don’t affect which profile Zoosk dating app or Zoosk dating site shows to you with whom you are likely to have mutual attraction. The fundamental activities that you can perform in all the dating sites are much more similar, but they all have few niches that make them standout around all other competitors. 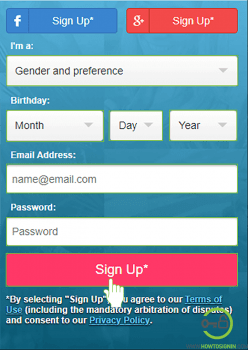 Here are some key features of Zoosk that might persuade you to create a Zoosk account. Numbers of attributes for searching; age, location, religion, height, body type, education and many more. Previous searches are stored automatically that help you find your type more efficiently. Behavioral Matchmaking technology provides the most relevant stuff to the user by monitoring users behavior. Hence, the more you use Zoosk dating site or Zoosk dating app, the better Zoosk will understand your match. You can see who is online and who viewed your profile. Carousel feature shows you random profile that may match your search where you can vote Yes, No or maybe. With the paid subscription you can read and send a message. Photo verification verifies if the user looks like their photos which helps to prohibit the creation of fake accounts. You need to record the verification process according to onscreen instruction and submit it. It takes a few hours for Zoosk to verify your submission. You can also verify their Social network accounts like Facebook, Twitter and even their phone number and military service credentials. You can respond to all the message, like and smile using Auto respond service for free. Every time you access your Zoosk account and spend time on the site you will earn Zoosk coin, these coins can be used to send virtual gifts and boost your presence in the search result. You can also see if someone view your message and go invisible for 30 min while browsing profiles using Zoosk coin. Zoosk has its own responsive mobile app which helps you to use Zoosk on the go. You can be up-to-date about your experience and online behavior through Dating insight that will guide you throughout the Zoosk experience. Create free Zoosk account to get started. Your Zoosk experience starts with free Zoosk sign up. Creating new Zoosk account is free for everyone. To quickly go through the registration process, you can use Facebook or Google plus login. Or you can manually enter your description and move one step ahead for finding your perfect match on Zoosk. Update your criteria and search for the best match. Make Zoosk know which type of people best matches your expectation. To do this, use different available criteria like particular body type, age, religion, ethnicity, etc. during profile search. Try something new, something unique to try your luck. This particular feature of Zoosk known as Carousel function or another exciting feature is Smart Pick which is available only with paid service. In Carousel feature, Zoosk will show you some random profile with some effect of your profile description that closely matched. You need to vote Yes, No or Maybe. Smart Pick is the similar feature where you are shown up a profile which is affected by Behavioral Matchmaking technology, with limited time given you need to tell if you like the person or not. Once you find your perfect match on Zoosk don’t be late to send Like or Smile to them. You can also communicate on messages. If you have enough Zoosk coins then you can also send each other some virtual gifts like teddy, roses and so on to make them believe you are really into them. With Behavioral Matchmaking, you can go through your Dating Insight and learn about your dating habit. You will get a complete insight of your dating habit on your Zoosk account. As you find the perfect match, when they like you, you will start to get insight into the people you liked and the people who liked you. In this insight, you will find all the information about which habit of yours is attracting other to you and you to others. For example, they may like the fact that you are not a smoker, or you don’t have any children, or they may also like you because of the region you are in. This all factor is graphed in insight. What is a Wink on Zoosk? Most of the time, when you get a wink in reply of your wink, this probably could be auto-reply. Zoosk has setup auto-reply feature intended to help the huge userbase of Zoosk dating site.